Is there really anything more sublime than this? Let me start this off by making it clear that I've never actually been to the US, so I'm not sure what cars you guys see a lot of. Despite that, I feel confident saying that you don't see anywhere near enough French cars, nor do you see enough inexplicably crazy cars-that-aren't-actually-cars. Logic would suggest that also means you don't see anything like as many inexplicably crazy French cars-that-aren't-actually-cars as you should be seeing. 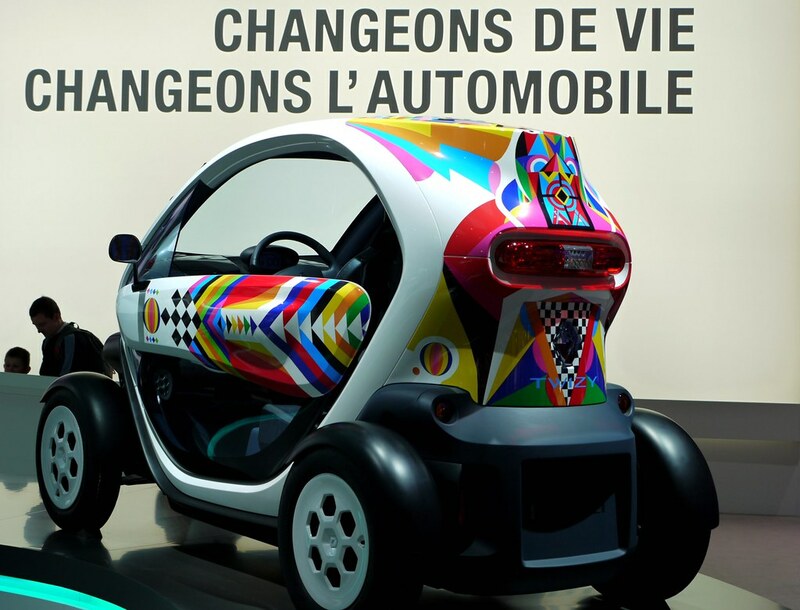 So let me introduce you to the solution to all your problems: the Renault Twizy. It's tiny, it's frankly bizarre and the two tandem seats are made to withstand being rained on because the scissor doors are optional. But the best thing is that despite its vaguely car-like appearance, it's actually too small, light and slow to be classified as a car. Instead, it's a quadricycle, meaning French guys without a driving license (either because they're 14 years old or because they got drunk and had it taken away by the Man) can use it as a daily driver. Before you get too excited about this, let me tell you there are a few downsides that you're definitely going to be able to overlook. First, it's an all-electric car with only around 50 miles of range... but if you live in a city you probably don't have more than 10 miles to the office anyway, so you're going to have plenty of juice for your commute. Plus you can charge it up from a standard wall socket in less than four hours. Second, you own the car but not the battery and have to thrash out a battery rental contract with Renault, which gives me a bad feeling that getting one to the US will require committing some kind of crime... but the Twizy is the kind of car-like thing that's worth moving to Europe for anyway. Third, as a quadricycle rather than a car, the top speed will be capped at either 45km/h (28mph) or 80km/h (50mph) depending on the version you get... but that's basically the speed limit, bro, quit whining. And it's got nippy electric car acceleration, which is the right kind of speediness for negotiating city traffic. You see, if you could only understand what you really need from a car, you'd see you could get it all (and maybe even more) from a Twizy. How often do you actually drive more than 50 miles at a time? When do you do more than 50mph in the city? Does it really rain so much? 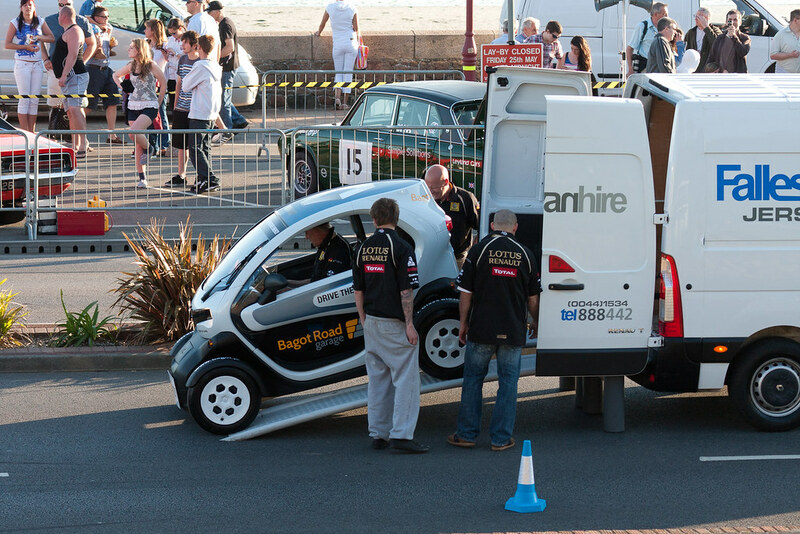 I'm anticipating a wave of black market Twizy imports as you all collectively come to your senses. Chinese SUV That Doesn't Look Like BMW X4 "Looks Like BMW X4"
This just in: cars tend to look like cars.